Kath Koschel has every reason to be angry with the world. She has twice broken her back, came close to losing her leg and has had to learn how to walk again. She had to give up her dream career as an elite cricketer. Then she lost her fiancé Jim, and his mother, to suicide. 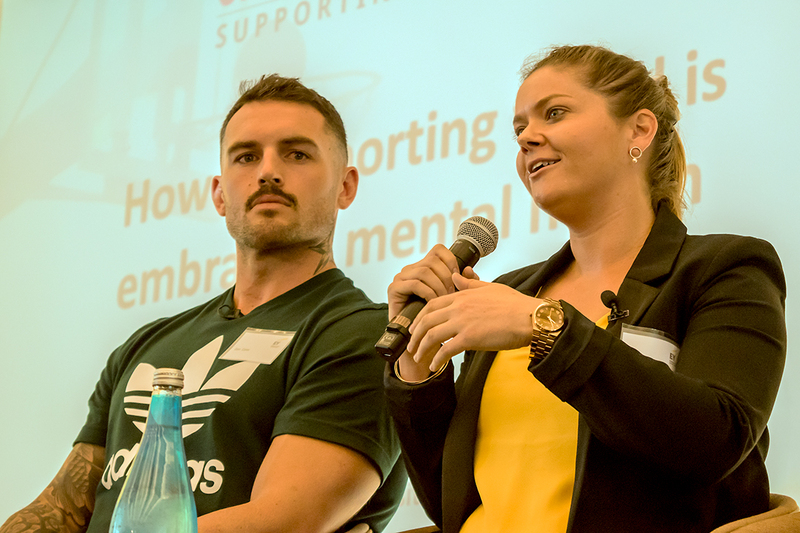 Kath was a panelist at the third Crossing the Line summit, ‘Athlete Mental Health and Identity’, on Friday, November 10. 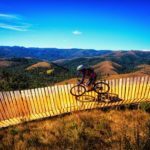 She shared her story in order to help athletes struggling with their sport careers and transition. The room was silent as she spoke. More than one person was in tears. Everyone was inspired. Kath runs The Kindness Factory, a charity that encourages people to show simple acts of kindness to themselves and others. She set the charity up in 2015, after a stint as operations manager for NSW Cricket. Before that, Kath, aged 24, was playing her fifth game for the NSW Breakers, after achieving her dream of becoming an elite cricketer. During the game, a disc slipped in her spine, and two vertebrae in her back cracked onto each other and compressed onto her spinal cord. In 2012, after six surgeries – one with complications that threatened amputation of her left leg – Kath entered the Ryde Rehabilitation Hospital in Sydney to learn how to walk again. Kath makes no secret of the fact that she found the experience “incredibly tough” and that being around the elderly at rehab was quite a hard thing to grasp at the start. But her saving grace was Jim, a former rugby league player who was in the same hospital after fracturing his back in a Tough Mudder obstacle race. They fell in love. Over six to eight months, Koschel progressed from a wheelchair and walking frame, to walking independently. She was released about four months before Jim’s due release. They had planned a future together, but on the eve of his release Jim took his own life. Kath rebuilt her life through embracing gratitude and kindness, and “all these sort of strategies that we tend to tap into when we are trying to be a bit more well. It was remarkable,” she says. Out of heartbreak grew The Kindness Factory, which she says was “a life changer,” but not without challenges. 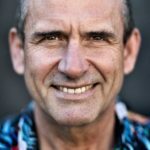 Then on January 10, 2016, a car with a drunk driver behind the wheel hit Kath while she was cycling in training for the Port Macquarie Ironman triathlon to be held in May that year. “I had just gotten over this bridge here,” Kath says, pointing to the Sydney Harbour Bridge and then to North Sydney on the other side where the accident occurred. Kath re-entered rehab, learned how to walk again for the second time. While she was in rehab, Jim’s mother passed away. Kath’s gratitude is remarkable in the face of so much grief. As is her determination to use her pain to help others. Of course, Kath didn’t get to where she is today without facing up to her demons and seeking support. 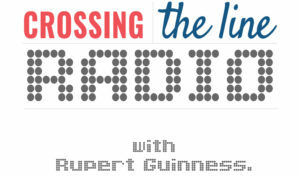 You can hear more about how Kath managed her challenges, and her advice for athletes dealing with their own mental health issues, on our new Crossing the Line Radio podcast series. Kath’s episode is here. 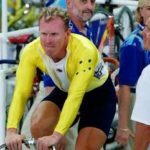 One of Australia’s greatest track cyclists, Gary Neiwand, opens up to Rupert Guinness about his darkest days struggling with life post-sport.